This bloody event features live (or dead?!) music from local party band favorites Flowers for Taco and DJ Angel B. 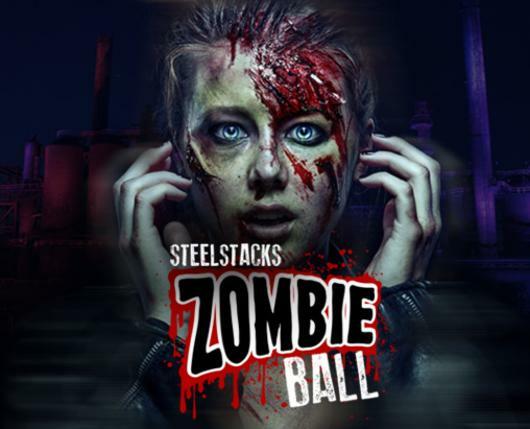 Get zombiefied with face painting, have infectious fun in the haunted bounce house and strike a zombie pose in the selfie area. Spooky aerial performance by Aerial Minds at 9:30pm. Plus, sink your teeth into mouth-watering food and drink specials. Prizes for Best Dressed Man, Woman and Couple (all Halloween costumes welcome.) Tickets are an unlucky $13 and limited to the first 666 zombies, so get yours before you’re the last person on Earth!